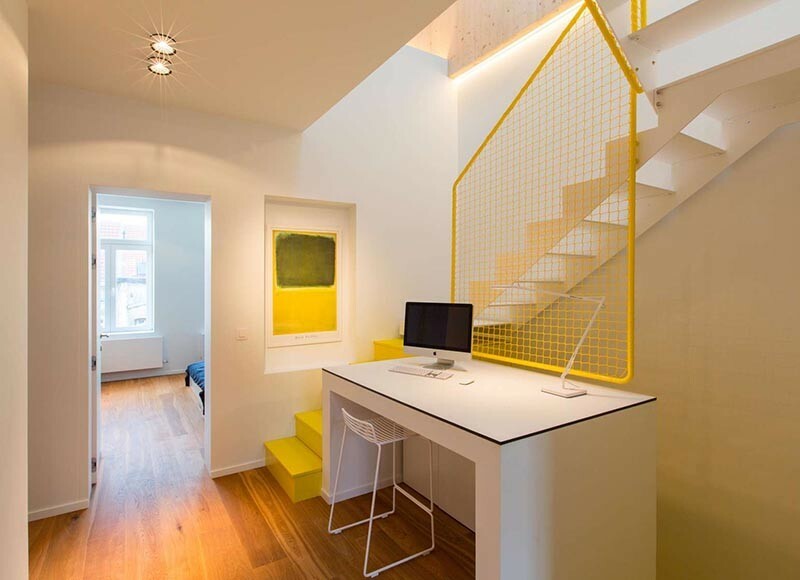 When Spotless Architecture were designing this home in Brussels, Belgium, they decided to include additional storage hidden within the staircase. See the full video of the home – here. 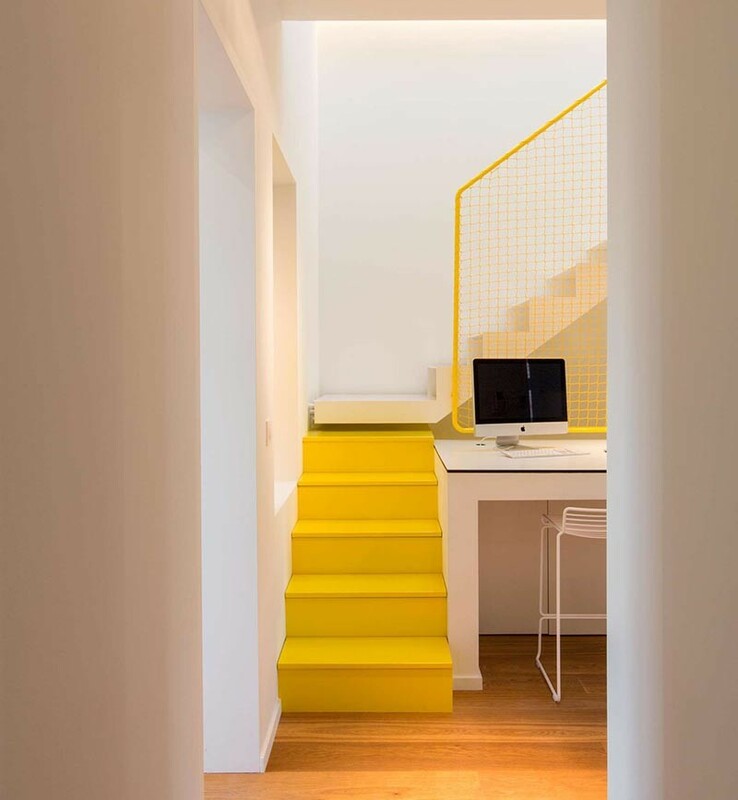 The stairs are located next to a built-in desk and lead to the upper level of the home. 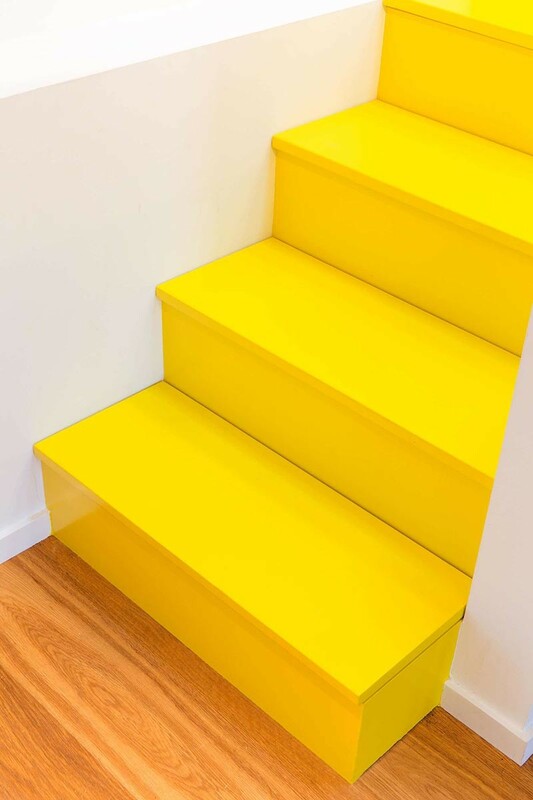 Not all of the stairs have hidden storage, just a few of the yellow stairs do. 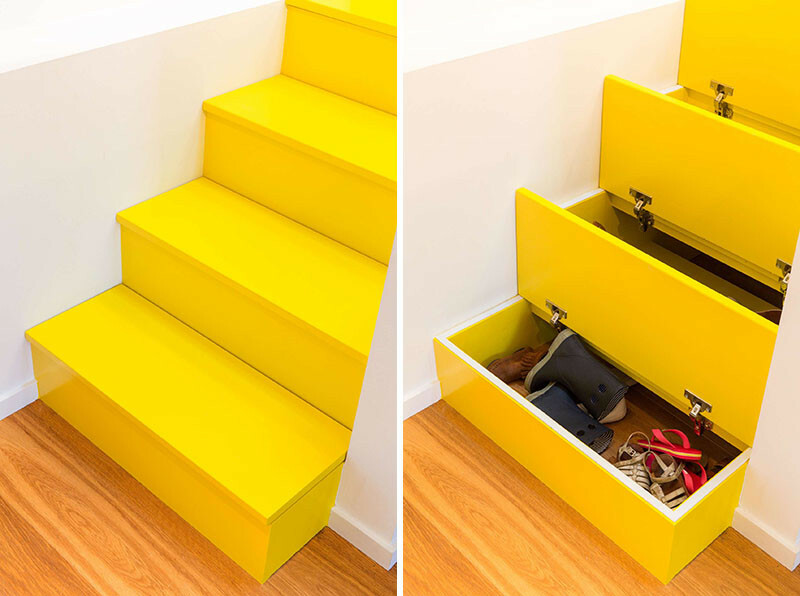 When looking at the stairs, you would have no idea that there is storage hidden within. 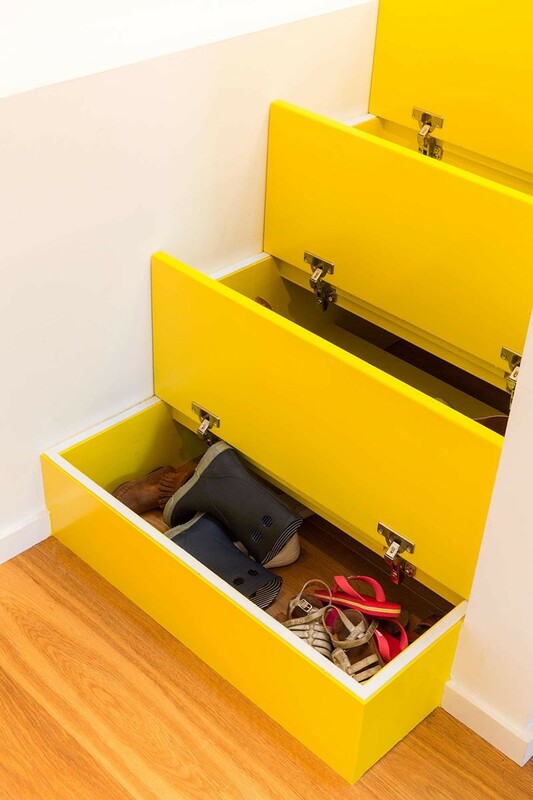 The hidden storage, accessible by lifting the tread, are the perfect spots for storing extra shoes.